It's time to run you through a list of items/products that I have been loving this last month! Apologies that I didn't get a Loves List up for May but everything's been quite intense at home with my Prolotheapy treatment and I've been finding it difficult to get all my posts done on schedule. However I do want to continue this series from now on and I have loads of new favourites to share with you, so here goes! Star Magnolia | "Delicate white blossoms bursting with spring`s sparkling charm. Star Magnolia is in bloom. Experience magnolia leaf and orange blossom with a kiss of lemon, ginger and shiso. Tantalising. Flirtatious." So I did a whole post recently on some of my favourite new Jo Malone launches and this one was the main feature & favourite for me. I fell in love with this fragrance as soon as I saw the beautiful bottle, even before trying the scent! I love the pretty white petal design around the cap and the bottle has a kind of white ombré mist on it. The fragrance is a light soft floral with lemony citrus top notes and sensual sandalwood in the base which is right up my street and perfect for summer time! I just HAD to pick myself up a bottle. I got to try this for the first time at a Jo Malone customer event, where we receive a luxurious hand and arm massage with our choice of body wash, body crème & fragrance. I chose to layer Mimosa & Cardamon Wash & Body Creme on one arm and Wild Bluebelle Wash & Body Creme on the other with the Star Magnolia Perfume spritzed over the top. I must say they both layered really well with it! Mimosa & Cardamon is one of my absolute favourites and I think that scent is particularly good for fragrance layering. Star Magnolia was released as limited edition in the signature 100ml & 30ml perfume bottle and a brand new product, a hair mist! I really wanted to get my hands on this but unfortunately it had already sold out by the time I got there and online too so it must have gone really quickly. I think the perfume is still available to buy in stores though so find your local one and give it a try! 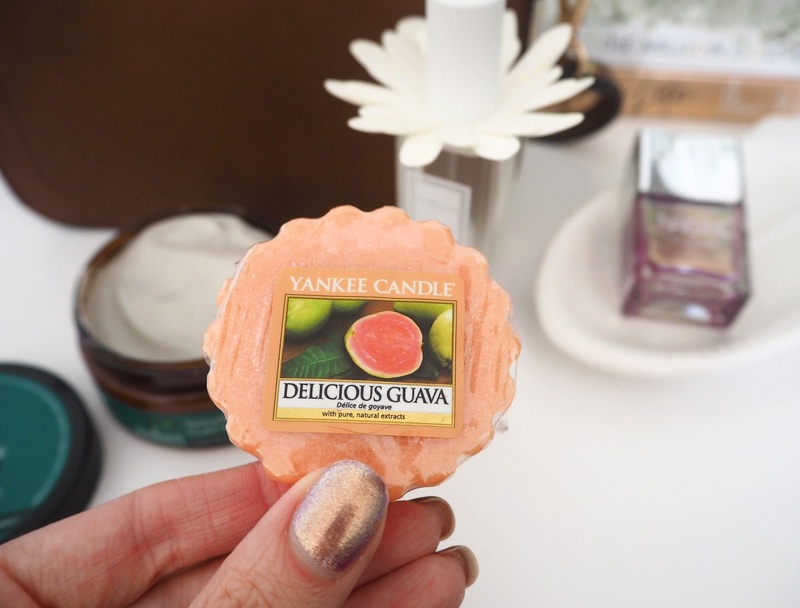 Yankee Candle Delicious Guava | Fruity fragrances are my jam in the summer time! I particularly light the bright tropical ones as they cojure up images of exotic holidays - that I don't go on! The Yankee Candle ones are my favourite as I find they're the most authentically scented and have a good strong throw. This one is new to their collection this summer from the Viva Havana range. It has top notes of bergamot & lemon, mid notes of peach, guava & mango and with sugar in the base notes it just smells so delicious. The mid note are what really come through though as that is the heart of the fragrance. A perfect fragrance to burn during any parties or gatherings this summer I think or use it as just a nice pick-me-up kind of scent in the mornings. 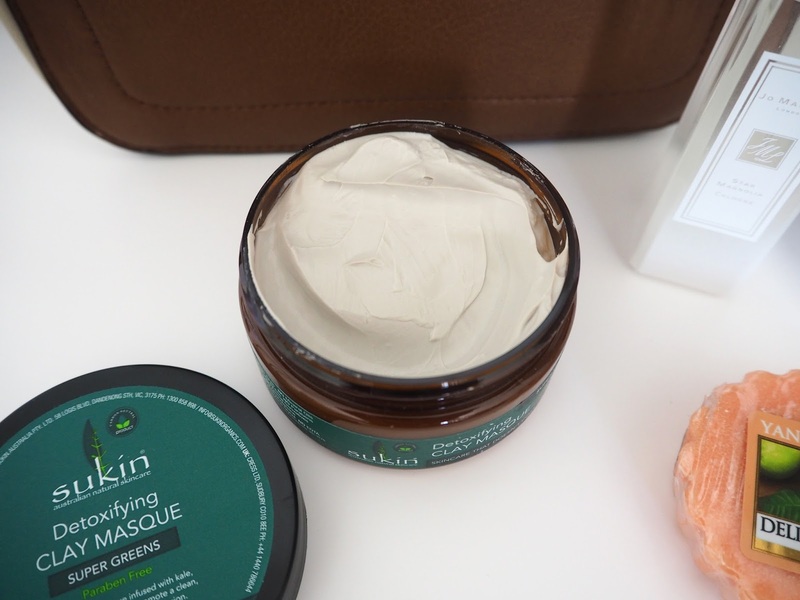 Described as "The delicious, juicy taste of ripe guava, filled with the luscious tropics"
Sukin Detoxifying Clay Masque | You may already know how much I love fragrance, just from this post alone it's probably obvious! So when I heard about the Scented Skincare Box from Latest in Beauty I knew I had to try it. There are so many products in the box that I hadn't tried before and they all smell absolutely incredible! This mask however was the stand out one for me. 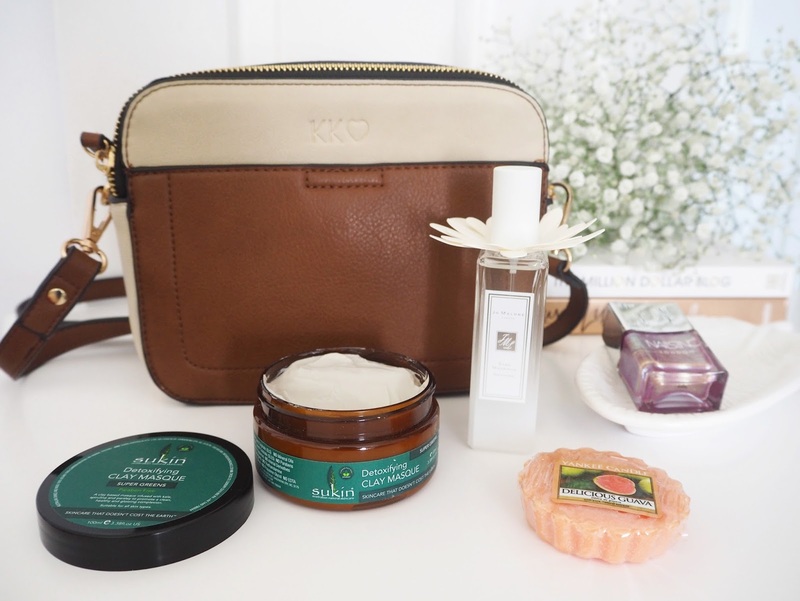 Sukin is Australia’s No.1 natural skincare brand. This mask is deliciously almond-scented and I find so soothing and pampering to use. The texture reminds me very much of the Elemis Herbal Lavender Repair Mask which is an absolute favourite of mine. "Infused with a blend of current ‘buzz’ ingredients including kale, spirulina, baobab and parsley, it’s the perfect quick fix for clearer, healthier, younger-looking skin." Bonus points for it also being vegan-friendly, paraben and sulfate-free! 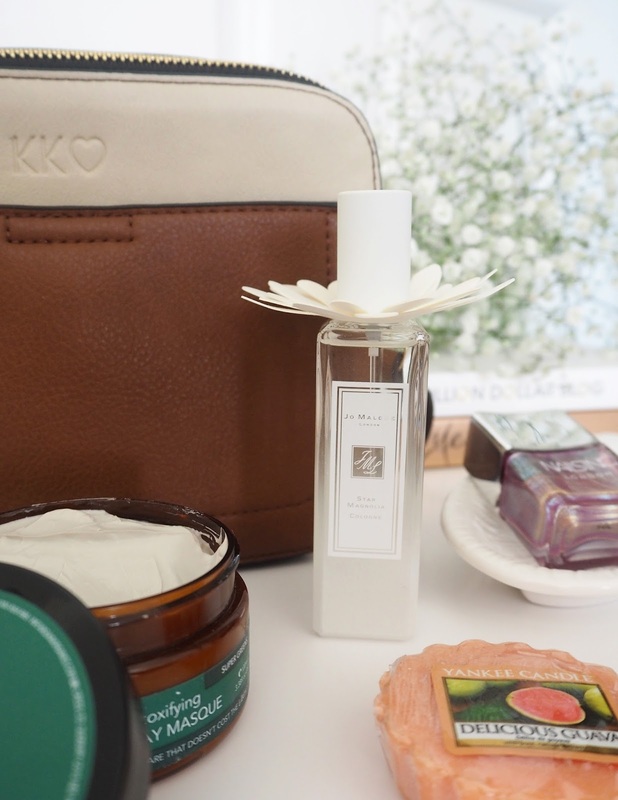 The Perfume Society Scented Skincare Box* is available at Latest in Beauty for £22 (now on sale at £17!) so I recommend you snap it up. 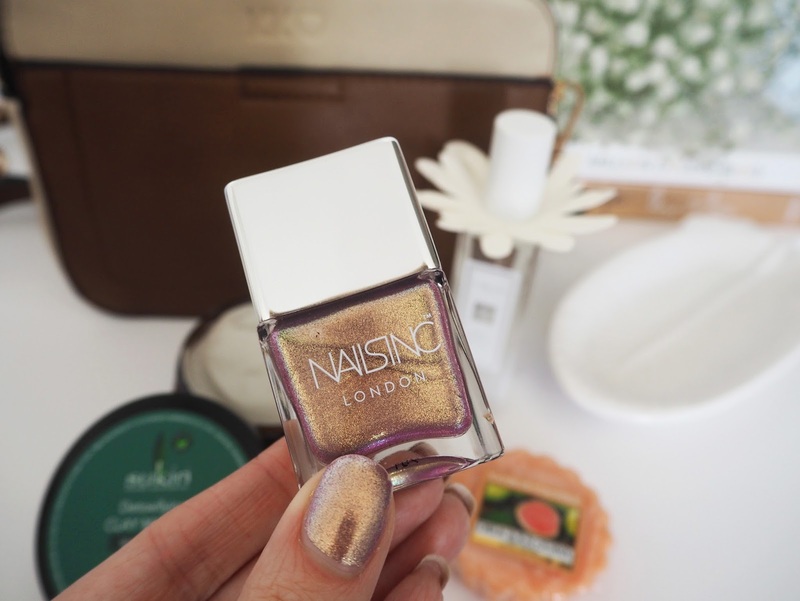 Nails Inc Dream Dust | I've been obsessed with this magical shade from Nails Inc's Sparkle Like A Unicorn Duo* called Dream Dust. With golds, metallic pinks and at certain angles a dark purple undertone running through, it looks different as it catches the light - pictures don't do it justice! I wore this on my fingers and toes to a friends wedding last month with a pink floral dress (see outfit post here) and I felt it looked so elegant yet unique at the same time. 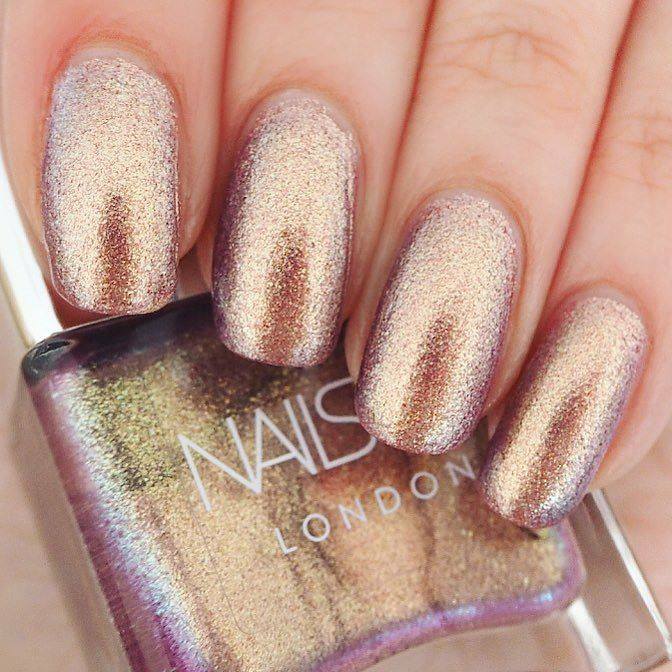 "Long wear, high shine, iridescent polishes bringing gleam and sparkle to your nails." I'm such a fan of Nails Inc's wide brush too, it makes it SO easy to create a neat finish! It's very long lasting, remains shiny and I've had so many compliments on them and people asking me wear they can get it. Unfortunately the duo is currently showing sold out on the Nails Inc website however you can sign up to be notified when it comes back in, so I'd recommend doing that if you want to be first to get hold of them when they come back in! Edit: I've jut found that the duo is available on Feel Unique - go, go, go! 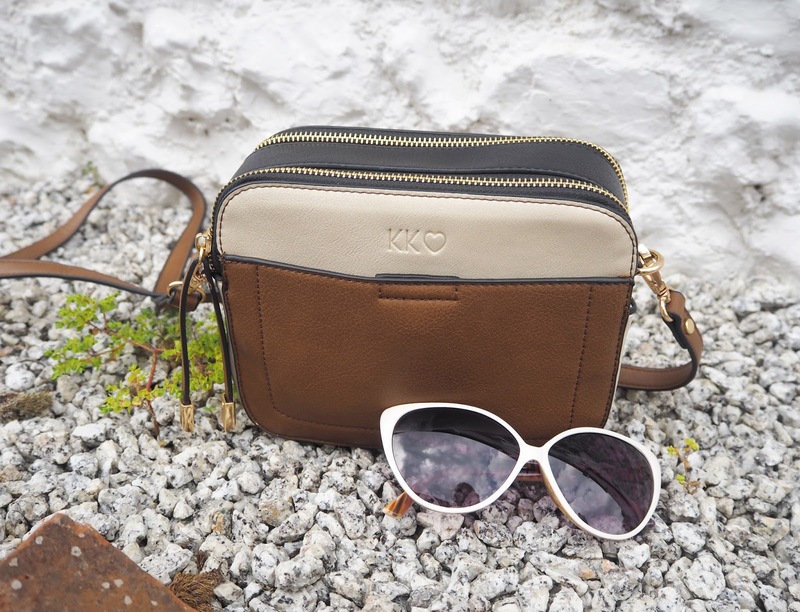 Oasis Camera Bag | I'd been eyeing up this beautiful camera bag for a while before I decided I just HAD to buy it! I knew I was really in need something to keep my Olympus Pen and the rest of my camera essentials in to take around with me, when I'm out on shoots, at blogger events etc. It has 2 main pockets that fit my camera and lenses in, a front pouch and an inner zip pouch that you can keep things like spare memory cards, batteries or USB cables in. One of the best things about this bag is that you can get it monogrammed with the word, name or initials of your choice! I choose to go with the initials of my blog name as they also had a few symbol options you could include so I added a little heart after KK. Being a cross body bag it's really comfortable to carry and looks stylish too. I've found it invaluable to take out on my shoots recently. It's nice feeling like everything is protected as I always feel a bit anxious about something happening to my beloved camera! It's also been handy at home as well just to have everything altogether in a bag that I can grab when I want to take some blog photos. You might have trouble fitting a really large camera in here, unless you can easily take it apart, but your average compact camera will fit easily. This particular bag seems to have sold out on the Oasis website right now but they have some nice printed versions available and hopefully they'll be adding some new colours for the autumn as I can imagine these are popular! Let me know in the comments below if you'd be interested in me doing 'What's in my Camera Bag' blog post? Those sunglasses in the above picture I've also been loving this month and wearing constantly as they seem to go with everything, they are from River Island! I think I just fell in love with that Nail Varnish! We had an amazing event here this past weekend. We had a friend create some custom drink options that the bartenders served throughout the night and the designer easily collaborated with the space at San Francisco wedding venues to address her needs.